Keep your company connected! Here’s a roundup of the best WordPress themes and templates for intranets, extranets, and community websites. What’s an “Intranet”? What’s an “Extranet”? Okay, we know–talking about intranets and extranets is not the most glamorous topic in web design. But stay with us! Intranet: a local or restricted communications network, especially a private network created using World Wide Web software. Extranet: an intranet that can be partially accessed by authorized outside users, enabling businesses to exchange information over the internet securely. So, an intranet is basically just a a private website for your company, school, business, or other network. An extranet is nearly the same thing, except that some of it is accessible to the public, like to your customers or clients. When Might You Need an Extranet or Intranet? To build professional development resources for your company, like presentations, training materials, courses, and other materials. To post meetings and videos to be shared privately, like recordings of “All Hands” meetings or board presentations. To publish blog posts or writing about company stories, notes from the CEO, product updates, or other announcements. For company admin and HR purposes, such as to create a library of documents around leave policies or other resources. To post job openings and opportunities internally. To increase collaboration and communication within your organization. An intranet or extranet isn’t a catch-all solution to all corporate communications, and looking at it from that approach can be a recipe for failure. The most effective companies use a combination of systems and software until they find the right process for their work. 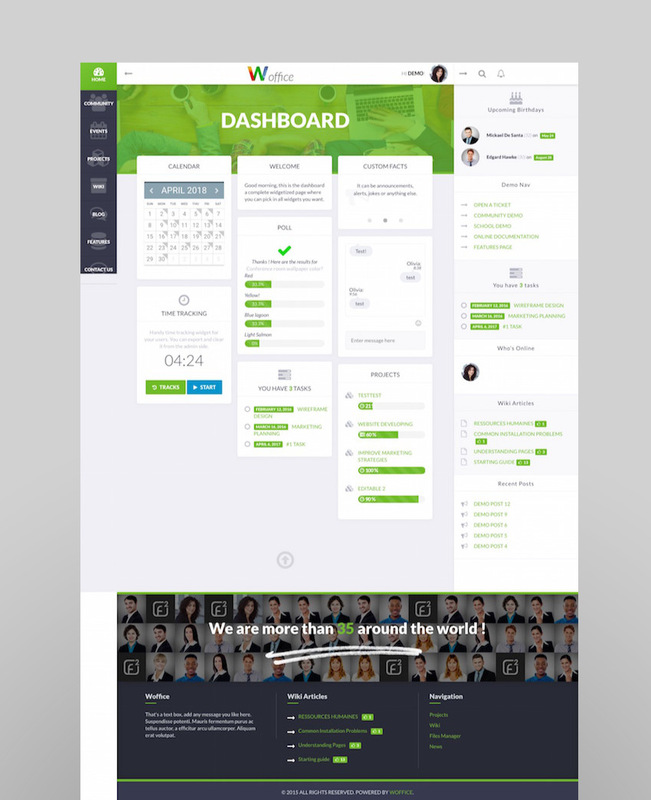 For example, Envato uses a combination of systems for working in the smartest, most agile ways–and it’s always evolving. There’s an intranet for professional development resources, notes from the CEO, and other announcements; Slack for day-to-day communications and chatting; Trello for project management, onboarding, and to-do lists; Gmail and Google Drive for file sharing, emails, and presentations; and Culture Amp for feedback and reviews. It sounds like a lot, but every program serves a specific purpose. Here’s what you need to make your own intranet or extranet site for your company. 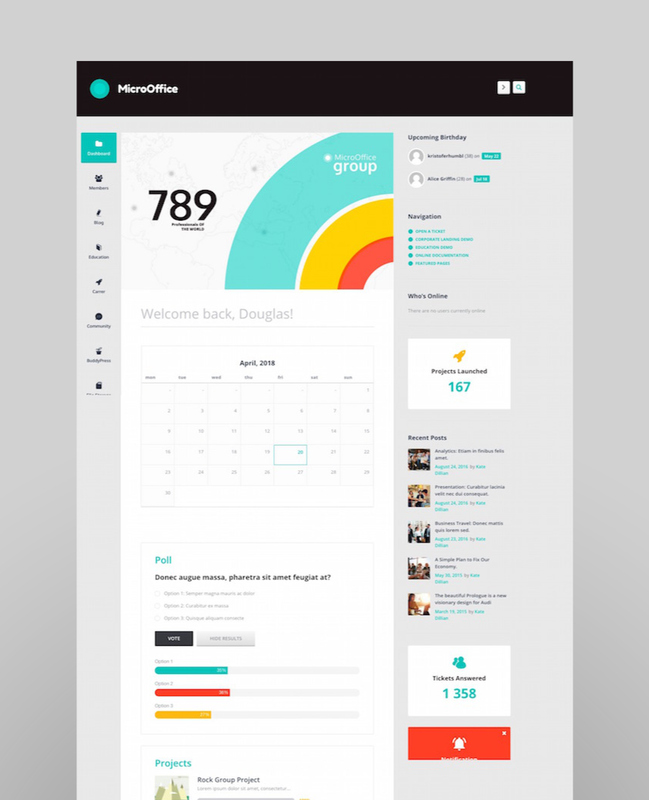 This WordPress template is the #1 best-selling Intranet/Extranet theme on the market. It has a projects manager, a member dashboard, Slack notifications integration, a member directory, a calendar, and more. 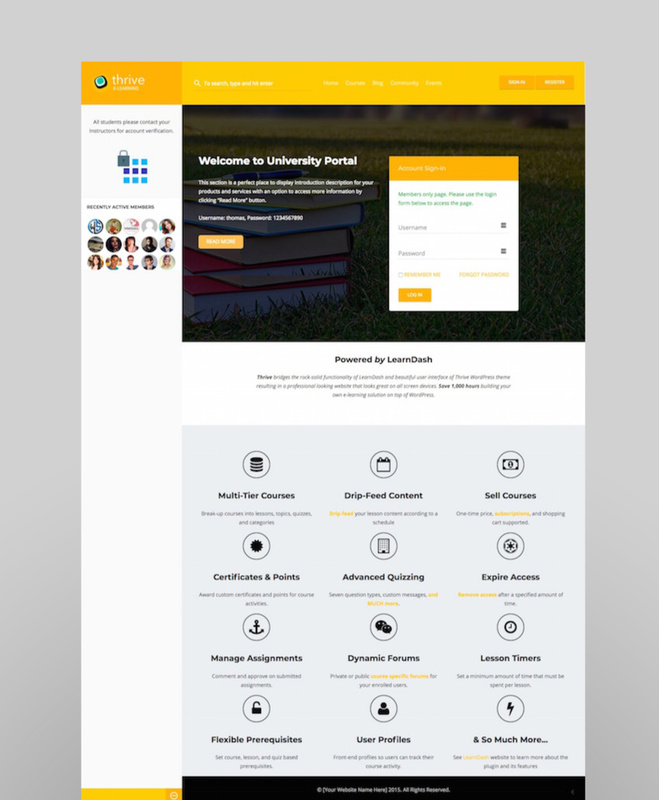 There’s even an online shop, online courses, and custom login pages. 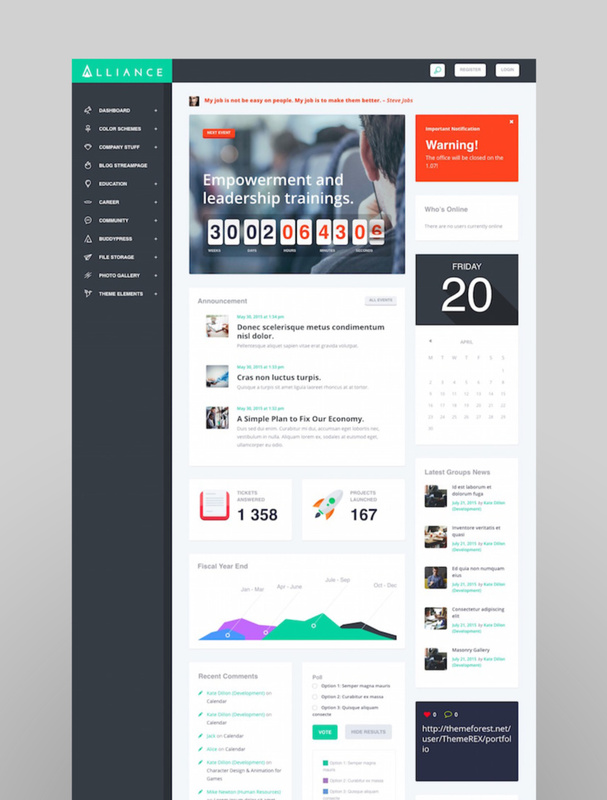 Modern and easy to use, this intranet theme comes with BuddyPress, a live customizer, messaging, form builders, and even management. It’s compatible with Learning Dash, an online learning and education tool, which is ideal if your focus is professional development or education. With three homepage variants, Alliance stands out for its high rating and clean design. It also has the capabilities to run polls and quizzes, and it has ten different color schemes to choose from, so there’s bound to be one that matches your business or logo. 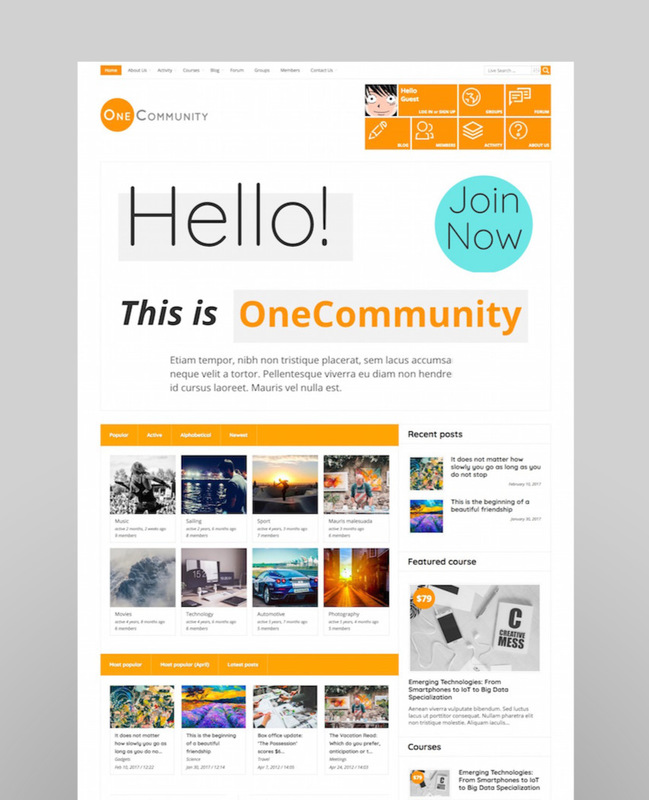 A community-focused site, this WordPress theme was built for memberships, online stores, courses, and media websites. It’s designed to work with the Paid Membership Pro plugin, WooCommerce, and BuddyPress. The demo pictured is for the “members directory” site. 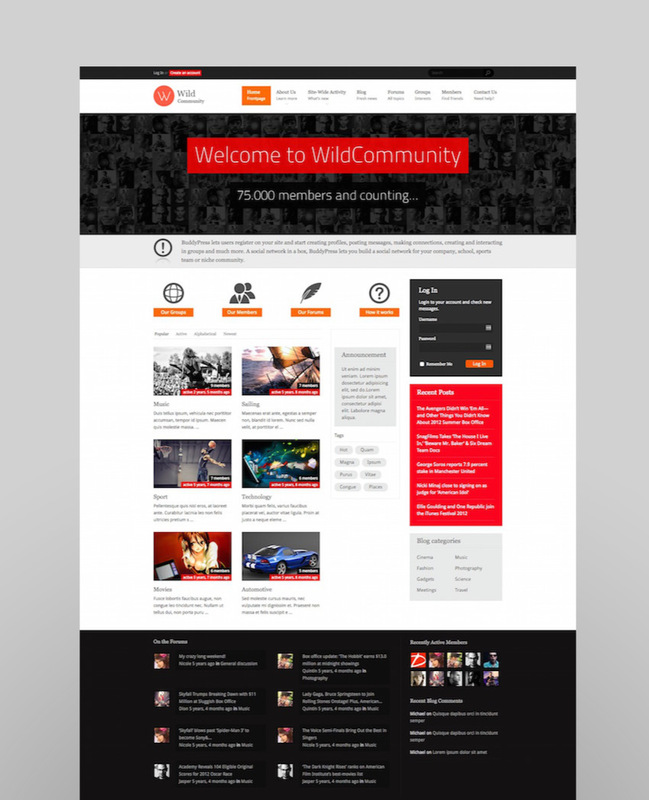 Billed as a “social network in a box”, WildCommunity is focused on social interaction and facilitating connections. Designed by Diabolique, this one stands out for its unique look. 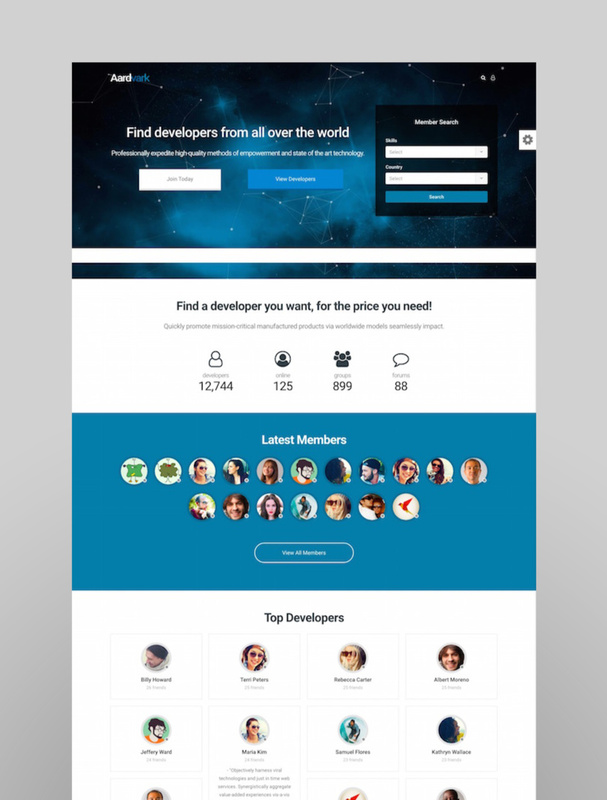 Looking for something that’s part dashboard, part community site? Micro Office has dashboard templates for corporate data–if you work for a company that’s all about the numbers, check this one out. It’s compatible with Visual Composer (which the theme makers say is better than Elementor), and it has online quiz and test functionality. This theme as a modular design, so it’s easy to drag-and-drop the design components you want to customize your site. It also has private chat, over 40 page templates, drop-down menus, and 9 color schemes. That list should give you enough to get started! Looking for more? Browse all WordPress themes on Envato Market, and take a look at the ever-growing collection of WordPress themes on Envato Elements.